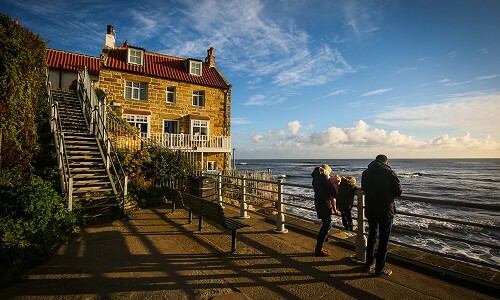 The Geall Gallery B & B is situated in the idyllic village of Grosmont in the North York Moors. 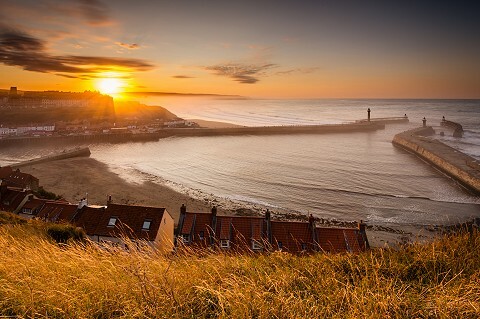 Wainwright’s Coast to Coast walk passes through the village, infact past our door making it the perfect place to stay before ending in Robin Hood’s Bay. 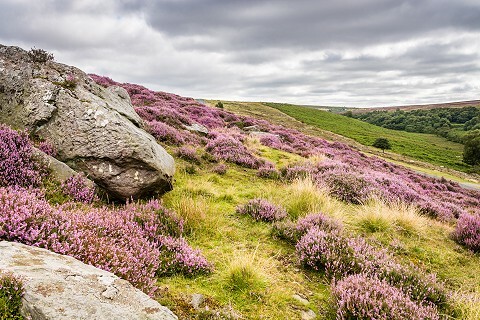 Grosmont and the Esk Valley is an excellent place to cycle, fish or just walk round with many bridleways and footpaths including the Esk Valley Walk. The Geall Gallery B & B is situated in the centre of the village opposite the NYMR and Esk Valley Line .In the Gallery below, Chris Geall can be seen painting large landscapes with oil and palette knife and there is also a cafe providing homemade cakes, scones, sandwiches and light meals with a large selection of hot and cold drinks. 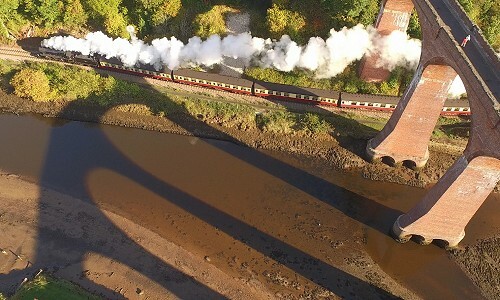 The Bed and Breakfast provides luxury accommodation for the Pullman diners on the steam trains and the Wainwright Coast to Coast walkers. Breakfast is served in the large spacious lounge/kitchen area which has a communal seating area leading to a balcony which overlooks the Murk Esk (a river which joins the Esk). We serve breakfast from 7am to 9.30 am using fresh and locally sourced produce, your breakfast is prepared in front of you a large selection of cereal, fresh berries and yoghurt. Hot beverages include fresh coffee and a variety of teas. We can also provide a packed lunch but many guests prefer to eat at the Tea Garden at Falling Foss on the Coast to Coast walk.